Downtown Streets Team is ending homelessness by restoring the dignity and rebuilding the lives of unhoused men and women. Founded in 2005, Downtown Streets Team is now beautifying five Bay Area communities: Palo Alto, San Jose, Sunnyvale, San Rafael and San Francisco, with a sixth on the way. We now serve over 500 unhoused men and women a year with over 40 staff members and growing. Our goal is to end homelessness in our lifetime: one community at a time. 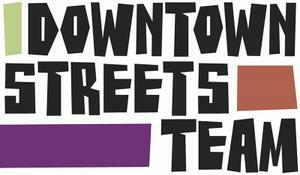 Downtown Streets Team is a 501(c)(3) nonprofit. Our Tax ID is 20-5242330.